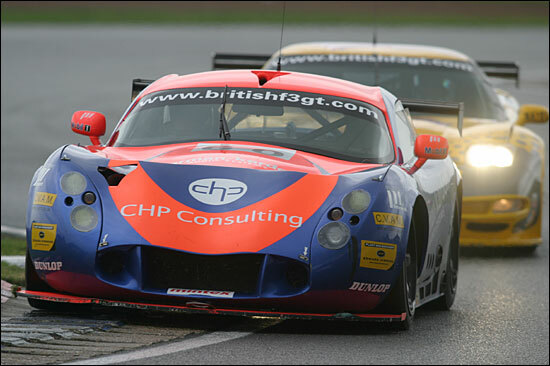 It was a frustrating return to the scene of Eclipse Motorsport’s greatest triumph, as the 2004 British GT Championship visited the Silverstone Grand Prix circuit for two one hour races on Sunday. 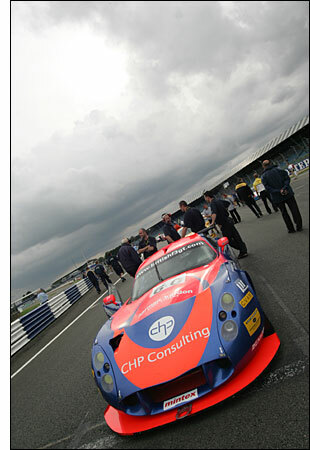 Qualifying had seen The Eclipse TVR’s rediscovered form again apparent, Steve Hyde lapping very quickly indeed but ultimately unable to trouble the front row. Race One on Sunday Morning saw Hyde start the race and run in a strong fourth place, including a great move on the exit of Luffield to deny the place to the hard charging Godfrey Jones. Hyde would run behind a charging trio ahead, the #35 Scuderia Ecosse Ferrari trying to get away and the lead JWR Porsche and Embassy Corvette looking to spoil the party for the Ferrari squad. The leading trio were pulling steadily away from Hyde at the rate of around a second per lap but was the pace one that the cars ahead could maintain? First to falter was Mike Jordan, his #33 Porsche lapsing onto five cylinders and pitting for attention. Hyde was up to third. 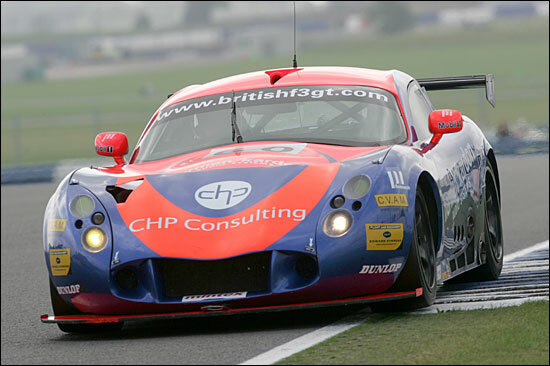 The Silverstone circuit was proving to be a tricky challenge for many of the N-GT runners and Steve Hyde was one of several to get caught out, a spin costing him eight seconds of the gap he had opened up over Godfrey Jones - but third place was still in the hands of the #60 TVR. 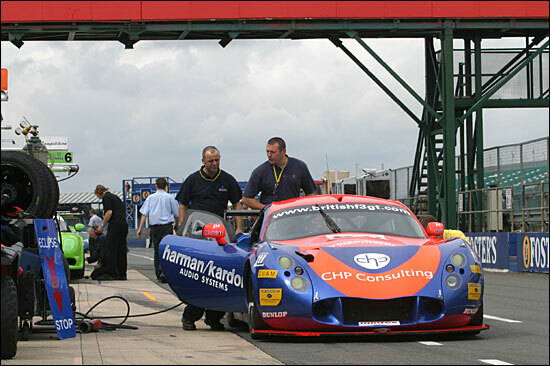 The pit window now opened and just before the halfway mark of the 60 minute race Hyde pitted to hand the baton to Piers Johnson. 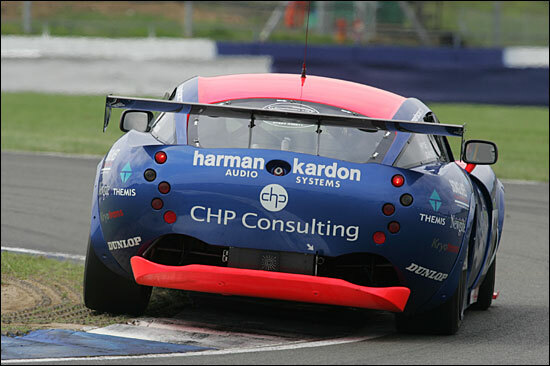 But the car though would soon be back, dealt a drive through penalty, apparently incorrectly, for the car being restarted from a slave battery: a bitter blow, and a fatal one for Eclipse’s podium hopes. From there it was a fight back against the odds for Johnson, and despite a spirited effort seventh place was the best that could be achieved in a race that could have reaped so much more. 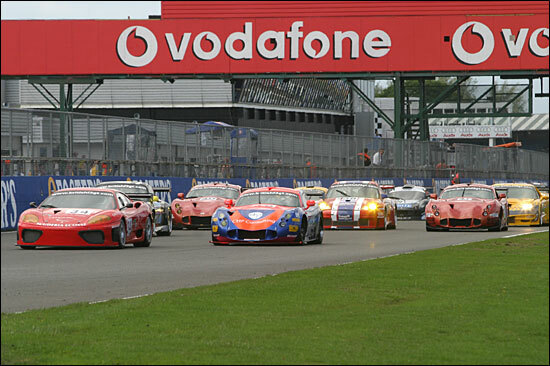 It was another race win for the #35 Ferrari, ideally suited to the wide open spaces of the Hangar Straight. Race Two would see Piers Johnson start on the third row of the grid - on a track soon to be very slippery: an unpleasant mixture of rain and oil. The guesting ‘La Squadra’ Lamborghini Diablo poured copious quantities of oil around the circuit on its first lap, the source of the slick then being misdiagnosed by circuit observers and it was at least two laps of V12 assisted oil spreading before the Diablo pitted. That was particularly bad news for the unfortunate Piers: he was one of a number of runners to be caught out but he would lose out more than most and would lose well over a lap beached in the gravel. The pace car would limit the damage and by lap eight the rain had eased but once again a good potential points finish had been ruined by misfortune. Once freed from the gravel, both Johnson and later Hyde would lap very quickly indeed, right on the pace of the eventual race winning GruppeM Porsche. By the end, Steve Hyde was lapping rather faster than the race winner, but the gap was far too much to make up and a finish outside the top ten was a disappointing outcome to a weekend that had promised so much.